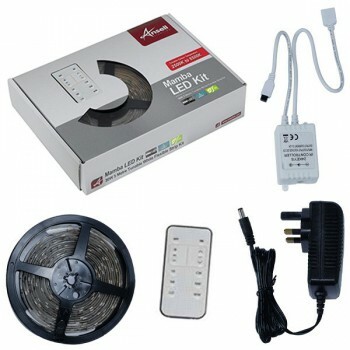 Ansell Mamba 5m Tunable White LED Strip Kit at UK Electrical Supplies. 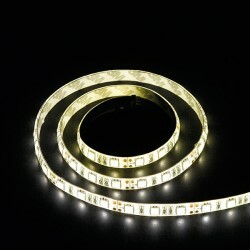 Ansell’s innovative Mamba (AMLED/KIT/TUNE) is a flexible 5m LED Strip Kit with a tunable colour temperature. That means you can use its convenient handheld controller to select anything from a warm (2500K) to a daylight (6500K) setting, or simply adjust the brightness. 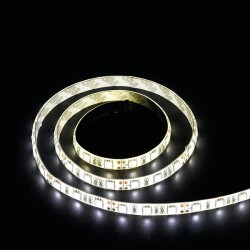 The Mamba features easy fit plug and play connection, adhesive backing, and regular cutting points for straightforward installation. 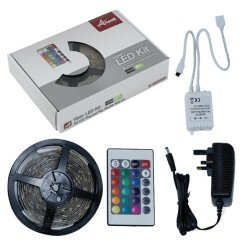 It also comes with a power supply, receiver, and quick-fit joint.